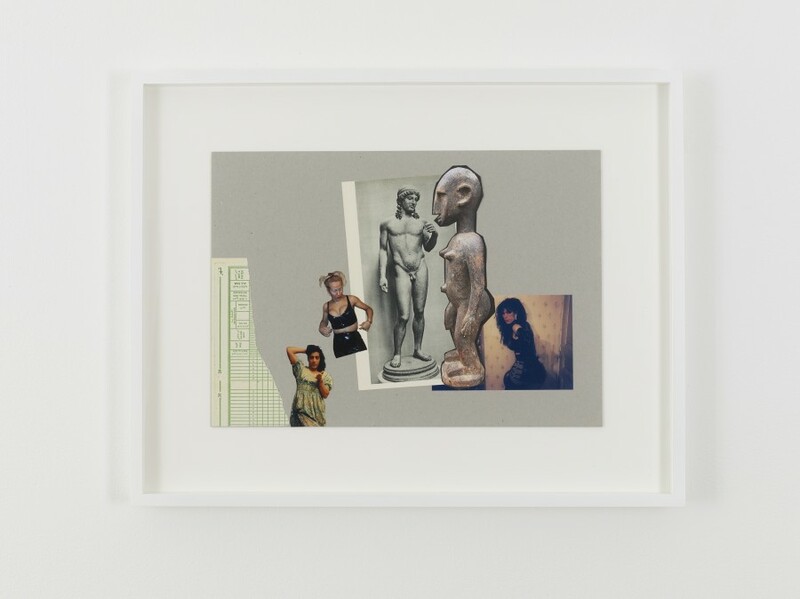 Currently on view at both Lehmann Maupin spaces in New York, on the Lower East Side and in Chelsea, Kader Attia’s Show Your Injuries presents a striking first show for the artist with the gallery. Born in the suburbs of Paris, and raised both in France and Algeria, Attia appoints his multicultural background as his source of inspiration, studying the consequences of his dual cultural identity, both as an advantage and as a challenge. 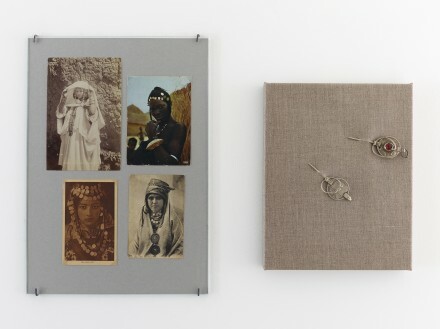 Attia’s installations cover both locations of the gallery, and expand the conventional gallery display methods, especially in 26th street location, where the artist has arranged a compact museum with the space to showcase a cohesive narrative on the long history of inequality and colonialism around the globe. The Berlin-based artist, who has always been keen on the notion and poetics of scarring, is known for investigating the possibility of regeneration after a violent laceration. Previously, The Repair from Occident to Extra-Occidental Cultures, Attia’s large scale installation at Documenta 13, as well as his MoMA project in 2010, titled Open Your Eyes, heavily articulated the impacts of war, mostly using appropriation and archival materials. Questioning dominant, Western-centric world views and the impacts of colonialism both for the conquered and the conquerer, Attia presents substantial arguments on the subjectivity of written histories. Waiting inside the museum-like structure are various adjunct galleries, each displaying works in a range of mediums from video and sculpture, to collage and photography. 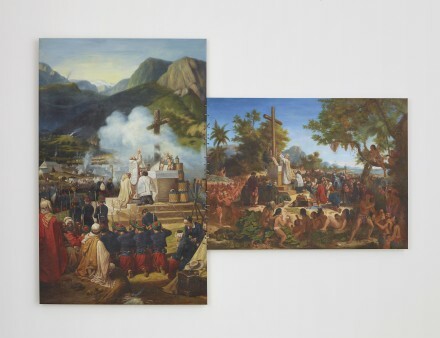 Dispossession, a slide show projecting the Vatican’s collection of ethnological artifacts is accompanied by large-scale reproductions of two paintings of Catholic masses titled Colonial Modernity: the first mass in Brazil and Algeria. 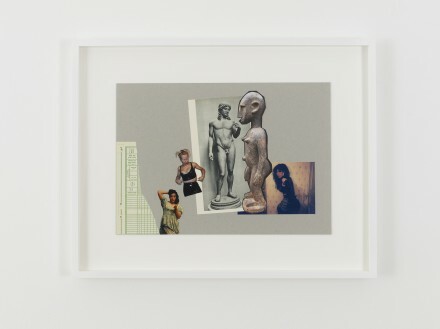 On the other hand, a wall piece including more than a hundred glass fragments which seem to belong to a church, and a series of collages of photographs and brooches, each titled Injury Reappropriated, strengthen the concept of deconstruction and impairment. 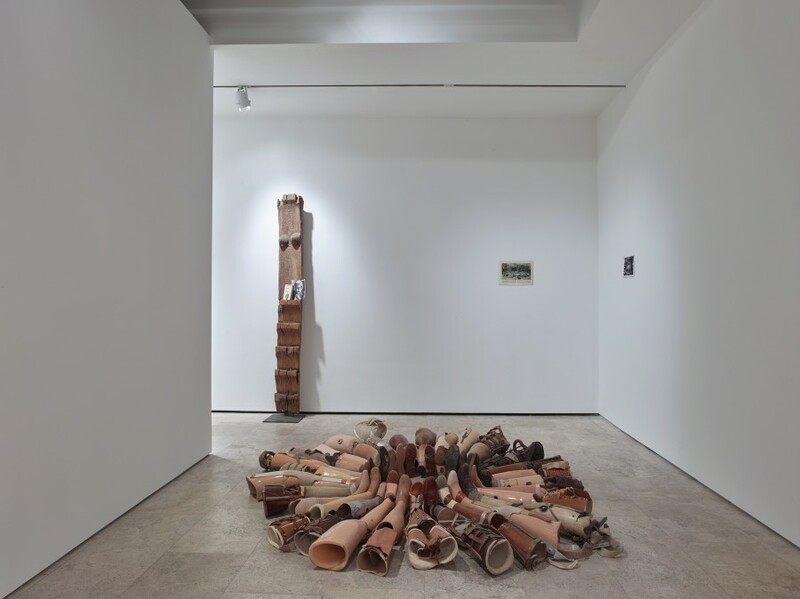 Of the most striking pieces is Artificial Nature, a floor installation composed of thirty antique prosthetic legs from World War I and II, deliver an emotionally challenging yet oddly intriguing presence. The legs’ status as art objects and what they perpetuate as images of war orchestrate a peculiar sensation taken together. Filling inside the Chrystie street location is Asesinos ! Asesinos !, a large scale installation of more than a hundred salvaged doors paired as couples, leaning against one another from the top. While their “A”-shaped positioning imposes a sense of shelter to rest under, the way they are arranged up suggests a strong reference to street protestors commonly seen all around the globe. This universal, collectively coded resemblance, supported by megaphones attached to some of the doors, underlines the exceeding familiarity societies have for political uprise and opposition all around the world. 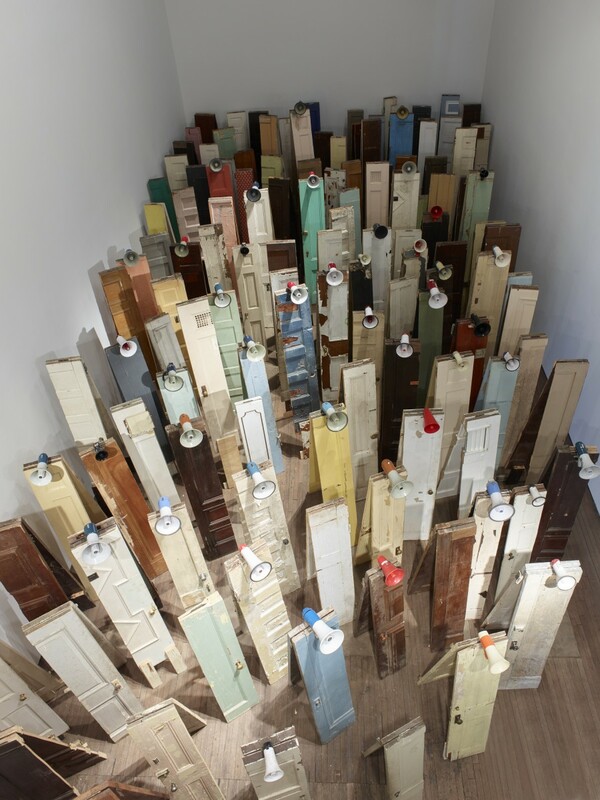 Each door represents another voice struggling to be heard, while never forgetting their everyday function as borders that separate the private from the public. Kader Attia: Show Your Injuries is on view at Lehmann Maupin through December 14, 2014. This entry was posted on Sunday, December 14th, 2014 at 8:21 pm	and is filed under Art News. You can follow any responses to this entry through the RSS 2.0 feed. You can leave a response, or trackback from your own site.